Incredible India! The perfect two simply describes the wide INDIAN beauty, its historic existence for future and its wide heritage and culture. India is a land of many carnivals. Starting with the Crown of India, Jammu and Kashmir, till the bottom end, Kanya-kumari, one can see many religions and culture on every 100mile journey. 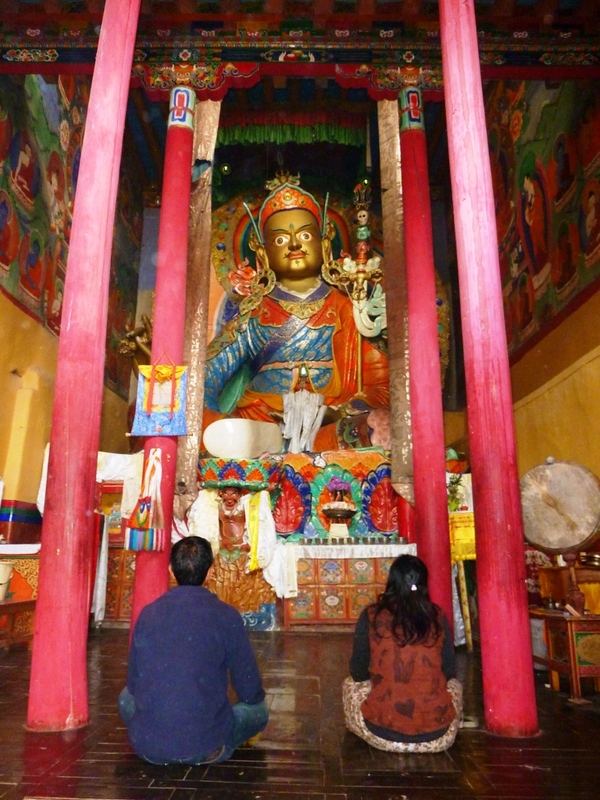 Hemis – festival devoted to Lord Padmasambhava (Guru Rinpoche), a special festival of Hemis Gompa. Hemis Gompa is a Tibetan Buddhist Monastery of the Lineage, situated in Leh, Ladakh, in Jammu Kashmir. Hemis Monastery is a world heritage site of India founded by first incarnation of Stagsang Raspa Nawang Gyatso in 1630 AD. Monastery was re-established in 1672 AD by King Sengge Namgyal. The Pupil of Yogi Tilopa (Naropa) and teacher of translator Marpa are allied with this monastery. Hemis is honoured as the largest monastic institution in North India. Monastery is wealthiest and the hoariest ancient remark of Leh. It is located on the west banks of Indus River, near Karu. 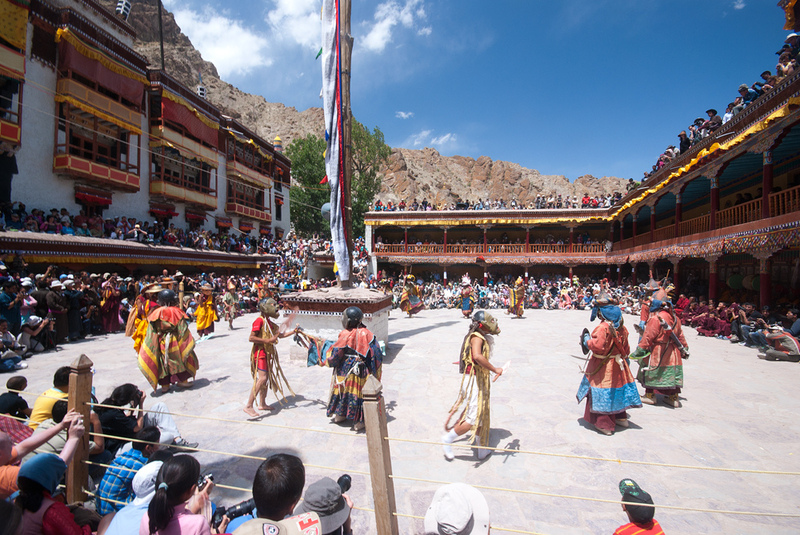 Hemis is a point of attraction for the tourist not only because of its location, but for the colourful festival of monastery held in June- July. 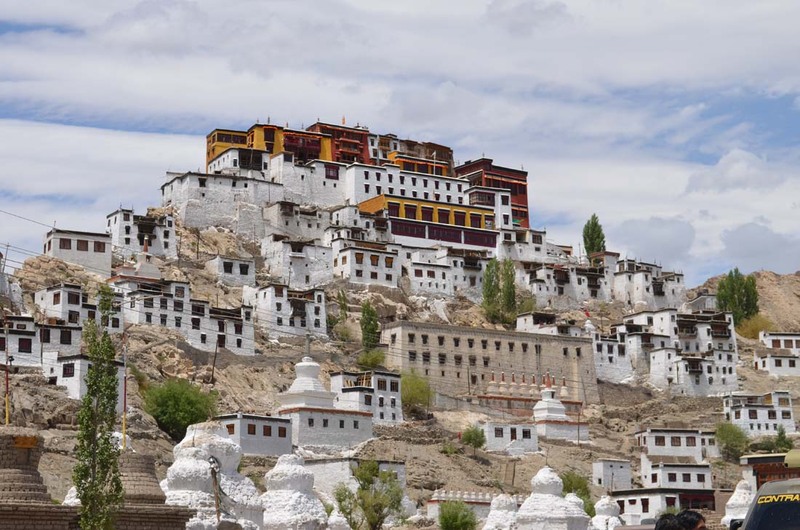 Monastery is well known for the rich collection of ancient fragments made of gold, silver and copper, scared Thangkas, murals and various artifacts. Monastery belongs to the Drukpa Lineage. It is like an institution where the tantric vajrayana are taught in several sects like Kargyu, Sakya, Gelug. Even monks of monastery perform Tantric Worship. 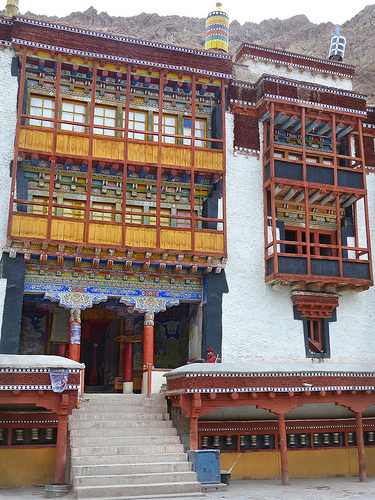 Just like the way to monastery is thrilling and striking in itself, the same way monastery welcomes you in its beautiful, colourful and attractive Tibetan style architecture. It is separated into two segments – Dukhang, the assembly hall and Tshogkhang, the Temple. The huge Courtyard is ornamented with unique patterns and gorgeous designs. 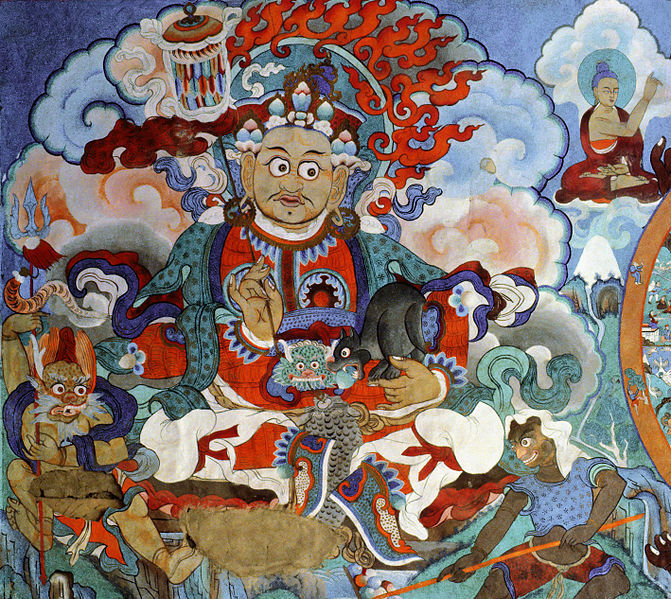 Highlights are the colourful wall paintings of Buddhist Kalchakra and lords of four quarters. Courtyard is the place held for all celebrations and public functions. 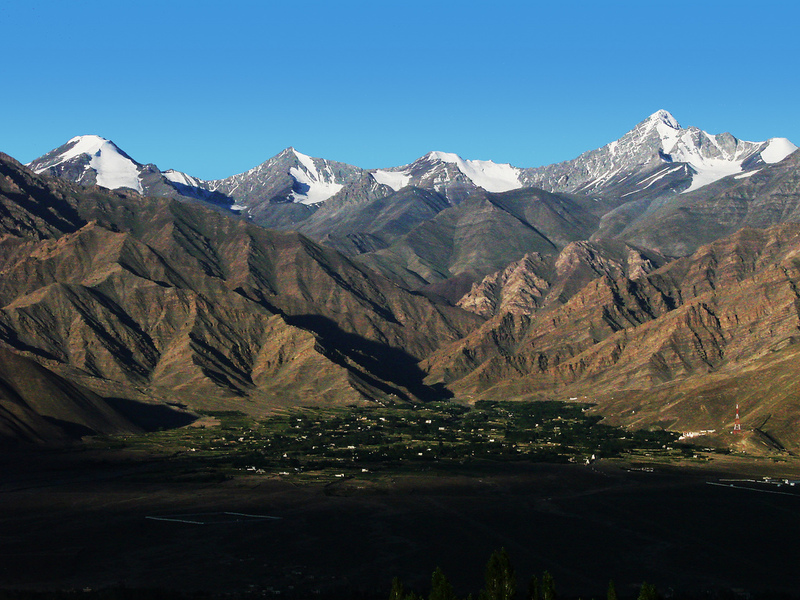 One more destination of Hemis famed between the tourists is its National Park. 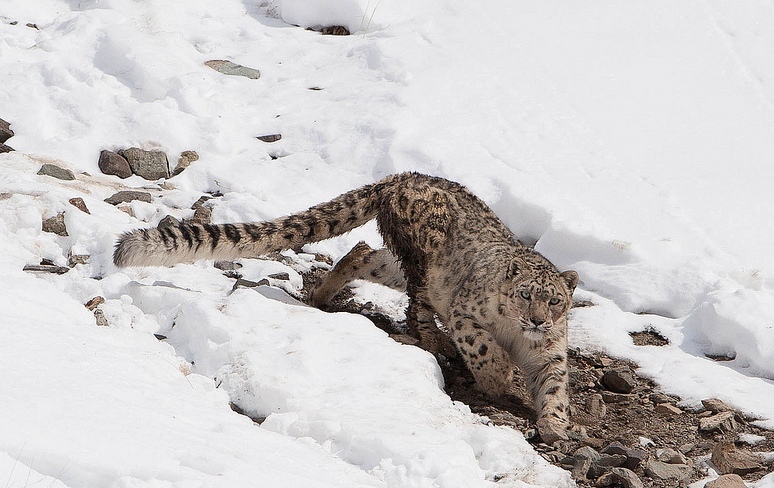 Close to the monastery, there is the High Altitude Park which is known worldwide for its rare animal, snow leopard. Another most important part of the Hemis is its Festival. Festival is celebrated on the tenth day of the Tibetan lunar month every 12th Year. Festival is celebrated in restoration of birth anniversary of Guru Rinpoche, the initiator of Tantric Buddhism in Tibet. It is assumed that life mission of Guru Rinpoche was, and is, to improve the spiritual condition of all living beings. Festival is completed dedicated in memory of the Guru. The scared rituals performed are alleged to give spirituals strength and good health. Dance and drama for mission and life are performed wearing colourful masks and dresses accompanied with traditional music. It’s a three day festival, which attracts a lot of tourists from all around the world. Festival begins with the early morning rituals. 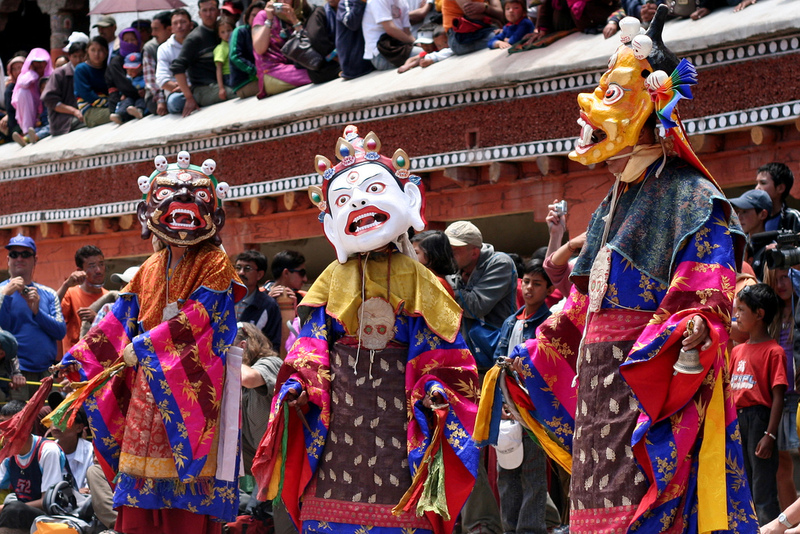 For the fest Lamas gather in the monastery and execute plays and dance. Highlights of the fest are the mystic mask dances, which are also known as Chams Performance. Hemis is a remarkably a destination with many ancients things, which are surrounded by nature and which leaves a memorable journey impressions. Visit here for other Buddhist Pilgrimage Sites.